Beginning in 2015, I am working as an Artist in Residence with Most Wanted Fine Art, a gallery based in Garfield. My project is titled “AMPLIFY! LGBTQ” and will feature a series of Q&A blog posts with LGBTQ neighbors throughout Western Pennsylvania. The concept is straightforward. Use the Q&A format to amplify the lived experiences of individuals whose lives are not often highlighted in traditional media. While I do obviously shape the questions and have some framing of the narrative, the answers will be in the voice of the individual. To explore the realities of our LGBTQ neighbors in their own words so as to better understand how their identities impact their day to day lives. To identify barriers they face in day to day life, including discrimination and bias. To identify how they contribute to a thriving region. 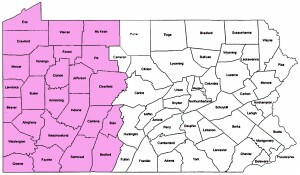 To connect with all 26 counties in Western Pennsylvania and identify resources, services and supports that may not be widely known, again in the voices and realities of the LGBTQ folks living there. To publish at least 30 Q&A posts, 80% from outside of Allegheny County with individuals who have not previously been interviewed for my blog. To publish a zine in conjunction with other queer Resident Artists based on the information in the Q&A series. The zine will be distributed back to the community and to members of the General Assembly. To disseminate this documentation of how discrimination impacts our lived daily lives to support legislative efforts to create a more equal society. Who can participate in the Q&A? Residents of the 26 counties who identify as part of the LGBTQQIA community. For this project, we are not interviewing allies except in special circumstances. You may participate using your first name or a pseudonym, but you must be willing to share your identity with me privately. Students attending post-secondary school and temporarily residing in Western PA are welcome to participate as well. Former residents who maintain ties. You can complete the survey here or contact me pghlesbian at gmail. I will send you a printed version of the Q&A if you would prefer to fill it out by hand. I am speaking to groups and hoping to attend events throughout the 26 counties. Please contact me if you would like a speaker or more information to share with your members. This can include PFLAG, GSA meetings, book clubs, bowling groups, etc. I’ve spent ten years blogging about my observations and experiences. I’m interested in creating a space in the blogosphere (and beyond) to shine a light on your observations and experiences. I believe that as people get to know their LGBTQ neighbors, friends and coworkers, their understanding of how and why we need resources, supports and laws will grow. Our shared values around fairness and treating people per the Golden Rule are essential to our welfare – I hope to AMPLIFY how those values (or lack thereof) impact your life so our collective neighbors may join our struggle for equality. Ultimately, AMPLIFY! is about using my own resources to tell an important story that is often overlooked and disregarded. To learn more about my professional qualifications, please visit my LinkedIn profile.